Pull up a seat and discover the comfort of the Game Time Chair. 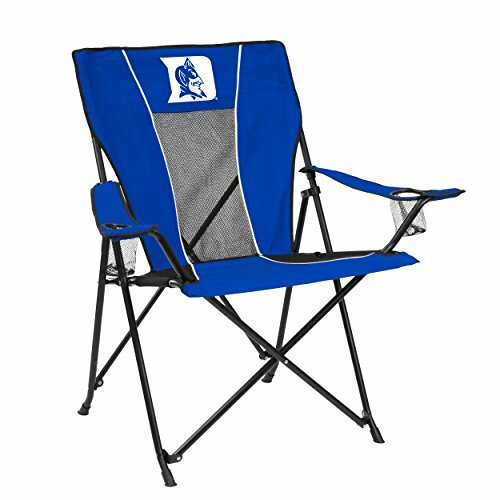 With your favorite team logo on the front of the chair, back of the chair and carrying bag, no one will question your team spirit. Features two adjustable arm rests with cup holders on each arm. The breathable mesh back guarantees comfort, no matter the weather. The GameTime Chair, designed for ultimate relaxation, has a higher back with more of an incline than its’ counterparts. Storage bag with shoulder strap included.